As a car accident attorney in Albuquerque, I know all too well that Albuquerque accidents involving pedestrian victims can cause a devastating impact. Since pedestrians have no seatbelt, airbags or steel to protect them, the injuries are often life threatening or fatal. Recent data reveals that 2016 was the worst statistical year on record for pedestrian deaths in Albuquerque and the surrounding areas of Bernalillo County. In 2016 alone, thirty-four pedestrians lost their life after being run over or hit by cars in Albuquerque and Bernalillo County. 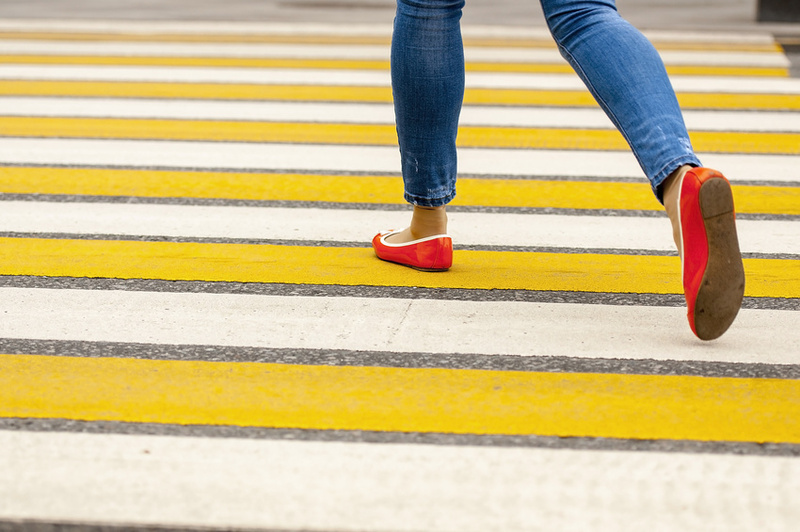 According to the New Mexico Department of Transportation and the United States National Highway Traffic Safety Administration (NHTSA), this is the highest number of pedestrian deaths from auto accidents since 1994. This figure breaks the worst possible kind of record, revealing Albuquerque’s longstanding issue with keeping pedestrians safe. If you or a loved one has been injured or lost their life as a pedestrian accident victim, I am an Albuquerque car accident attorney who fights to hold responsible parties accountable while pursuing your right to deserved compensation. Albuquerque’s pedestrian safety issues are, sadly, nothing new for the state. A federal report released in 2014 found that New Mexico has the highest rate of pedestrian deaths in the United States. One of the major issues surrounding a lack of awareness about Albuquerque’s pedestrian safety issues could stem from the wrong perception about pedestrian accidents. Albuquerque resident Scot Key is a local transportation advocate who believes that much of the problem of pedestrian safety awareness starts with correcting misinformation. For starters, there is a preconceived notion that pedestrian accidents involve either drunk pedestrians or drunk drivers. While Key concedes that around half of the pedestrian accidents involve alcohol, statistics reveal that the other half of the time alcohol did not play a role. Additionally, the infrastructure of Albuquerque roads continue to play a major role in both auto accidents not involving pedestrians as well as the accidents that do harm pedestrians. There are several key areas in Albuquerque that lack sidewalks and/or high traffic pedestrian areas. A prominent example of this exists at Louisiana Boulevard in an area slightly north of the Central Avenue intersection. While there is a crosswalk at the intersection, nothing stops pedestrians from taking a more direct route across the intersection. Unsurprisingly, the intersection of Central Avenue and Louisiana ranks as one of the most dangerous intersections in Albuquerque and the state of New Mexico, according to local drivers. A study conducted by the University of New Mexico on behalf of the New Mexico Department of Transportation found that the aforementioned intersection and 21 others had between 51 and 100 crashes. Possible fixes for New Mexico’s pedestrian safety issues naturally include cutting down on the state’s drunk driving problem. Other solutions can occur on the logistical end, such as allocating more federal and local funds for improving bicycling and pedestrian infrastructure. Until these improvements can be made on a wide scale, it is clear that pedestrian safety will continue to be an issue in Albuquerque and statewide. As a car accident attorney in Albuquerque, I represent pedestrian accident victims and all other victims who are injured by a car in Albuquerque. Contact me for a legal consultation to discuss the facts of your auto accident case in Albuquerque.